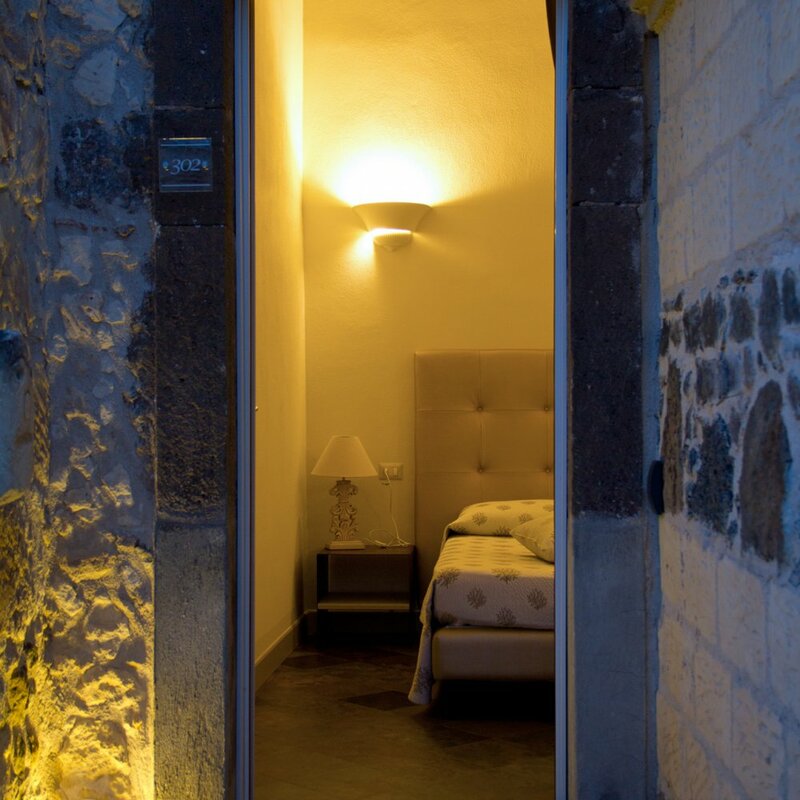 The Hotel Maison Tresnuraghes is AN albergo diffuso located in the historic centre of Tresnuraghes, a small village on the north-west coast of Sardinia (Oristano). It is a scattered hotel consisting of two aged houses superbly restored gathered around a large patio. A garden surrounded by walls protects the guests’ privacy. The scattered hotel is an opportunity to restore and enhance tiny towns and villages in disrepair and a new philosophy of hospitality. It allows “the traveller” to stay in buildings planned to be real houses in contact with the local population and their culture, therefore having an authentic experience of living within the community. An albergo diffuso effectively honours and makes use of all that environment and history has to offer – renovating existing structures, serving local cuisine, using products of the region and employing residents. Therefore it is a new and respectful way of reception: a bit of a hotel, a bit of a village, a bit of a house! 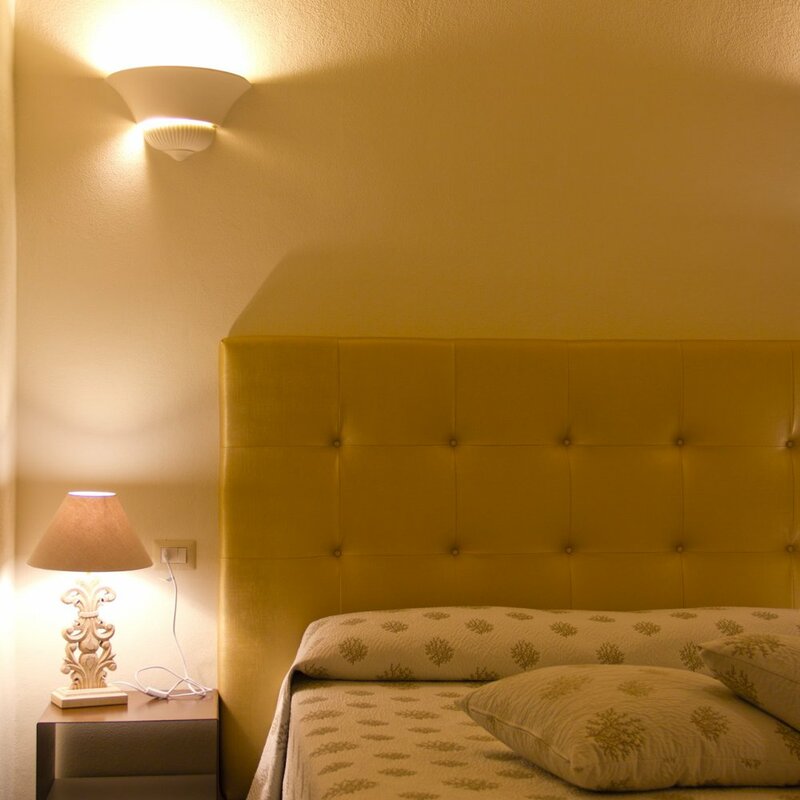 The Hotel has 15 ( 3 Suites, 5 Double Rooms, 3 Single rooms 4 LOCATED IN A SEPARATE BUILDING 50 M FAR FROM THE RECEPTION) spacious, bright and tastefully decorated, in grey and beige shades, to offer maximum comfort to the guests. Some have a small balcony overlooking the patio or the historical centre. The Hotel Maison Tresnuraghes is located in the historic centre of Tresnuraghes, a small village on the north-west coast of Sardinia (Oristano). - Extra bed: Euro 20,00 per day.